London, November 18, 2014. UK Bitcoin service provider SpectroCoin.com this month launched a new feature on its platform to allow clients to withdraw cash in more than 25 countries around the Europe and Central Asia raging from France or Switzerland to Turkey by overcoming banks to provide an easier access to Bitcoin for unbanked people. In Europe and Central Asia where 193 million adults are not using formal financial services, their financial exclusion might lead to a social exclusion. Provision of link for these people to a global payment network acts as a social mission to reduce their financial exclusion in highly effective and low cost way. According to SpectroCoin.com co-founder and CEO Vytautas Karalevicius, previously a finance student at University of Cambridge, this solution will have an impact on both Bitcoin adoption and remittances industry in the region. Firstly, this solution will provide a link to Bitcoin network, which is the most accessible payment network in the world looking from IT perspective and one of the most financially fractioned region in the world. With help of our partners network now our clients in 25 countries are able to exchange bitcoins to cash by not leaving the town and in the most cases the district they live in. That makes Bitcoin as a payment method more accessible and provides more trust and liquidity as the user now will be certain, that after receiving a transaction in Bitcoin he or she will be able to easily cash-out funds just around the corner. 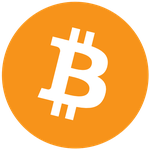 In combination to user friendly Bitcoin wallet cash withdrawal provides an initiative for a person to use bitcoins for daily transactions as well. On the other hand for remittances industry, it provides a unique option to make a cash transfer at a competitive price from nearly everywhere in a world to people in Europe and Central Asia residing anywhere from France to Turkey. From companyâ€™s perspective it is a test-field to see how Bitcoin could shape the remittances industry as well as to understand the actual needs of under banked people in the region. SpectroCoin.com is a European Bitcoin service provider with a focus on highly fractioned markets and provides one of the widest selections of options to buy and sell Bitcoins in Europe as well as solutions for integration of Bitcoin to serve various business needs for corporate clients.